In the park, I had a strange experience such as life and death, past and future coexist, and thus the time now is stopping or eternity. St. George’s Garden in London, Bloomsbury has 17th century’s gravestones with trees and flowers. Point to one end, which is always present”. If you follow the locus of a circle from a point, you will return to the point. It is similar to metempsychosis. T.S. Eliot also might contemplate about “time, life and death” in this park. 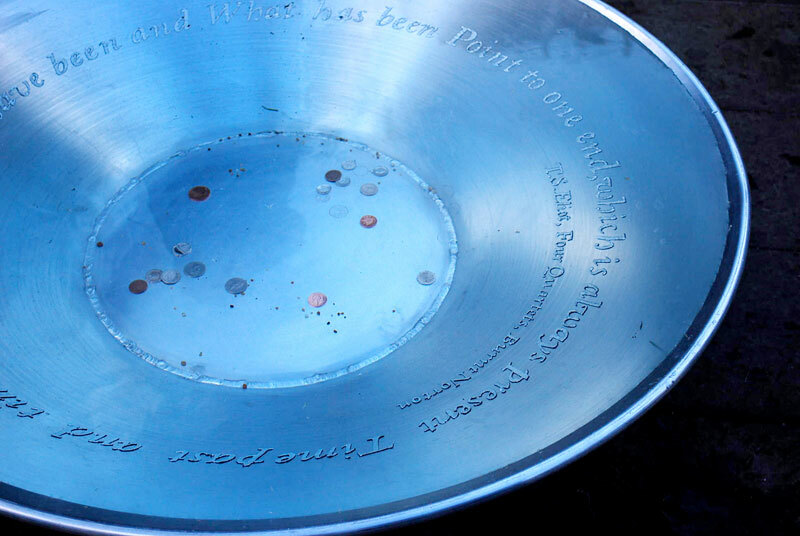 So, I inscribe the quotation on the bottom of the aluminum basin, filled it with water, and placed chairs around it. The chairs show the memory of T.S. Eliot. 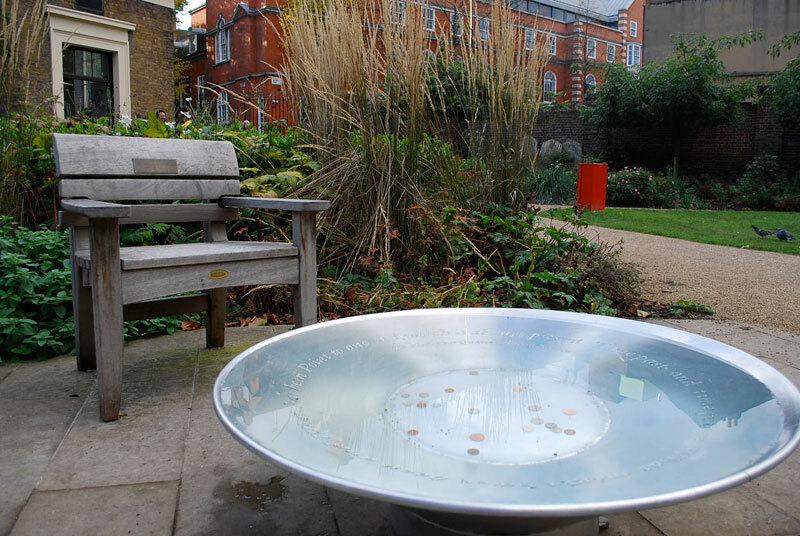 Furthermore, this artwork encourages visitors to reconsider those sitting in the chairs and reading the poem.